For you celebrity gossip lovers! 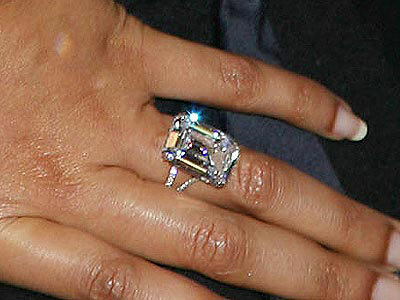 Remember when Beyonce got engaged to Jay Z 3 years ago? 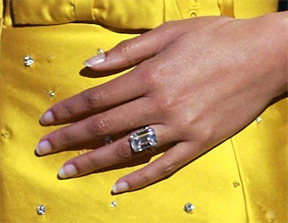 well here is a reminder that up to now no celebrity had such an expensive Engagement Ring. from Beyonce’s favorite jeweler Lorraine Schwartz. Here are some pics from Beyonce’s. An engagement ring is a symbol of emotions such as love, commitment, eternity, honor, loyalty and promise. Diamond engagement rings represent the circle of life, an unbroken circle and the diamond accents the ring showing the importance of this bond. It represent the most precious of bonds, that of the bond between a man and a woman. Thanks a lot. Daimond is valuable thing but what happen to the people who cant afford the price? Does it means they do not have emotion? ofcourse they do! but not everyone can afford such prices, there are so many different sizes, qualities and even imitations for the ones who cannot afford it…after all unfortunately life is not fair I guess! right? I'm totally overwhelmed .. Any tips? Bless you! I just could not leave your site before suggesting that I actually loved the usual information an individual provide in your visitors? This page definitely has all the info I needed concerning this subject and didn't know who to ask. Howdy just came upon your website from Yahoo after I entered in, "Blogger: Champagne Gem"
you don't mind if I collect some material from here and I will of course credit you as the reference.